Evergreen, 3 to 5 ft. (90 to 150 cm). Zones 7 (with protection) to 9. Dimorphic. 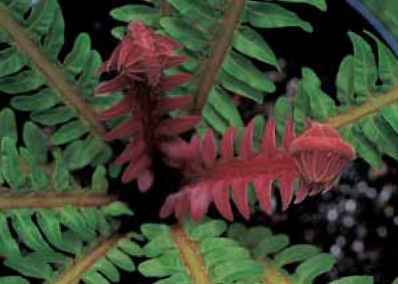 Intense red temporarily colors the new fronds on Blechnum brasiliense 'Crispum'. description: The rhizome is long-creeping, tossing up sturdy erect fronds at random. 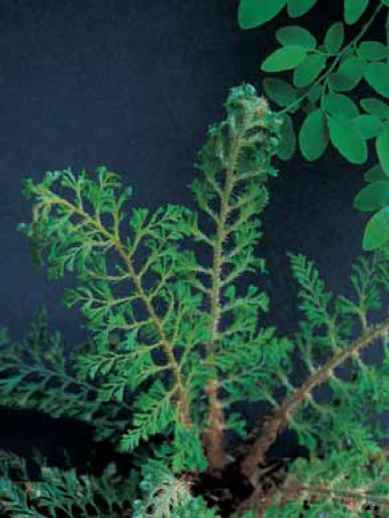 Grooved stipes, with abundant basal scales, are the color of weak tea and are one-half of the frond length. The once-pinnate, narrowly oblong blades have 10 to 20 pairs of rubbery pinnae on a bit of a stalk. The extended apex resembles an elongated pinna. The lower edges of the pinnae overlap the rachis, and appear to be "holding hands," or at least thumbs. This characteristic is one of the few distinctions between this species and the extremely closely related and visually similar Blechnum cordatum (both ready, along with their growers, for taxonomic clarification). The fertile fronds are tall wands of narrow, linear pinnae that are solely composed of sori running out on the horizontal from the rachis. 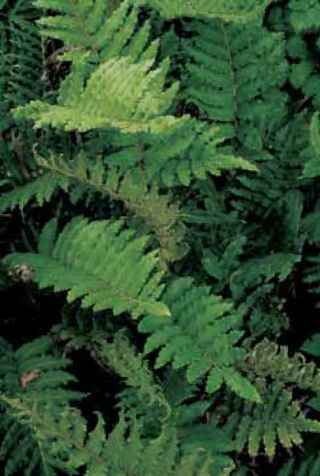 range and habitat: Blechnum chilense is abundant in Chile and also grows in Argentina, Brazil, and Uruguay. In the lowlands the new growth is green, but at higher altitudes, the new fronds are a very attractive red. This species is a common and sensational ornamental in botanical gardens in the British Isles and, with its increasing availability, is immensely popular in the Pacific Northwest of the United States. 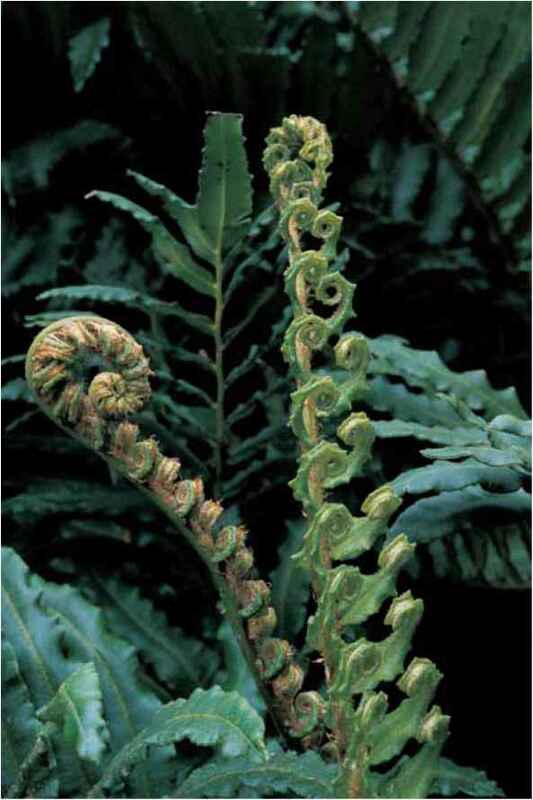 The unfurling fronds of Blechnum chilense looking like costillas de la vaca. Mature fronds on a spreading clump of Blechnum chilense. species comes readily from spores and the long rhizomes are tailor-made for division. Propagators and growers should take care, however, and not apply fertilizer to very young plants. They will reward your efforts by turning a sickly brown and attracting every slug in the vicinity. Sturdy, established plants are not effected by fertilizers, but with their natural vigor do not need any supplemental food.